Johnny Cueto will enjoy the comforts of home in his Game 2 start against the Mets. Johnny Cueto is happy at home, and that’s where he’ll pitch in the World Series. The excitable right-hander with those signature dreadlocks is scheduled to start for the Kansas City Royals in Game 2 and potentially Game 6 — both at Kauffman Stadium. "It doesn’t matter to me whether I pitch at home or on the road. 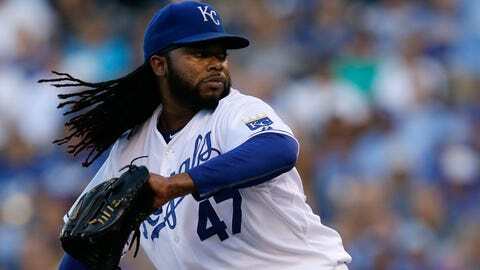 But I do feel more comfortable here at home," Cueto said through a translator Tuesday. Cueto appeared to get a bit rattled in Toronto during one of the worst starts of his career in the AL Championship Series, yet manager Ned Yost said that had no impact on the order of his rotation against the New York Mets. "No, I feel like he’s pitched great games here. He really draws on the energy of our fans. And again, I felt like you try to put everybody in a position where they can be successful," Yost said before the Series opener. "He more than anybody else really draws that energy from our fans. We just felt it was the best move." 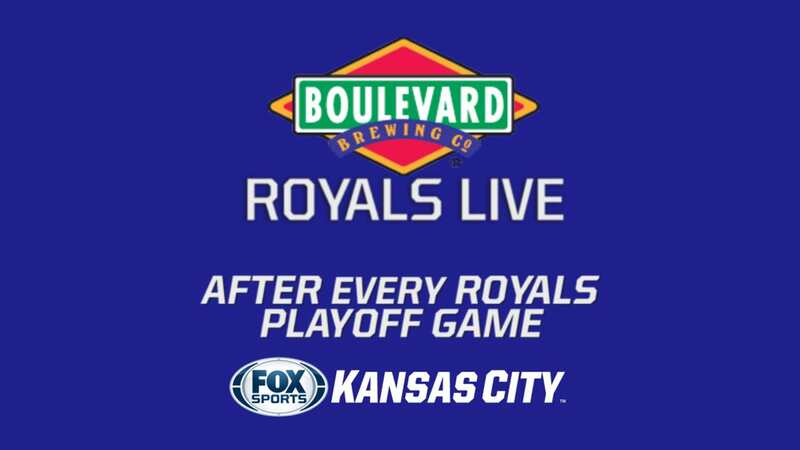 The Royals are counting on that after using six relievers over eight innings, including three from Game 4 scheduled starter Chris Young, in Tuesday’s 5-4 win in 14 innings in Game 1. Eric Hosmer ended the 5 hour, 9 minute epic with a sacrifice fly that scored Alcides Escobar. Kansas City trailed 4-3 in the bottom of the ninth before Alex Gordon homered off Mets closer Jeurys Familia, who had converted 21 consecutive save opportunities — including five in the playoffs — since coughing up a late lead against San Diego on July 30. "Tonight was huge," Young said. "Home run by Alex Gordon and the character and fight, find a way to win late, great team effort." The Mets went 1 for 10 with runners in scoring position and Escobar scored the winning run after reaching on David Wright’s error. "Their team, one of the things we know about them is they’re never down and out," manager Terry Collins. "We’ve got to put them away. We’ve got to do a better job." Collins’ team looks to even the series behind Jacob deGrom. He is 3-0 with a 1.80 ERA in three postseason outings — all away from home. "I just like pitching," deGrom said. "On the road, it doesn’t really matter. I’ve actually enjoyed pitching on the road in the postseason. You go out there and you’re getting booed and it’s fun to try to silence the crowd." New York has seen plenty of Cueto from his days in the National League with Cincinnati. He is 3-4 with a 4.02 ERA in 11 starts against the Mets. "Seems like every time we played the Reds he was pitching," Collins said. "Now with his new delivery alterations he’s made, you better get your feet on the ground. Because this guy can quick-pitch you. He can make you wait. So you better get ready to hit as soon as you get in the batter’s box. That certainly is something unique to him." "He knows how to pitch. He knows how to get you out," Collins added. "When you don’t have a fear to fail, you’re dangerous. And he’s dangerous." Cueto, acquired July 26 from Cincinnati, has not pitched since Game 3 of the ALCS on Oct. 19. "The rest is good because I’ve been going since January, even though I do like my routine of five days," he said. "But that’s the way it fell. That’s the way the rotation fell for the series. And that’s what I’ve got to adjust to." Before his meltdown against the Blue Jays, Cueto tossed a gem at Kauffman Stadium in the deciding Game 5 of the AL Division Series versus Houston. He has made some recent adjustments to his motion, as Collins noted. In a sense, Cueto often changes speeds even before he delivers the ball. "As far as the windup, I read swings, I read rhythms. And I come up with these different type of windups because of the rhythm that I feel is going to be effective on that particular pitch," Cueto said. Last season’s NL Rookie of the Year, the shaggy-haired deGrom has a well-documented story by now: He was a college shortstop and third baseman at Stetson before moving to the mound his junior year and catching the eye of scouts when he pitched against Florida Gulf Coast and first-round draft pick Chris Sale, now an All-Star ace with the Chicago White Sox. Not long after beginning his professional career, deGrom had Tommy John surgery that sidelined him in the low minors. When he was finally called up by the Mets last season, they planned to put him in the bullpen. But he was given a spot start in place of injured Dillon Gee before a big crowd in the Subway Series against the Yankees, and deGrom has been a stingy staple in the rotation ever since. "Going through that rehab process, I think that’s what really helped me become a better pitcher, because I was kind of new to it and I think it helped me learn how to repeat my delivery," deGrom said. "It was a crazy journey." New York’s Daniel Murphy failed to homer for the first time in seven postseason games Tuesday. He went 2 for 7 with a pair of singles after going deep in a record six straight playoff contests.